The Navy commissioned its newest fast attack submarine, the USS John Warner (SSN-785), during a 10 a.m. EDT ceremony Saturday, August 1, 2015, at Naval Station Norfolk, in Norfolk, Virginia. John Warner, designated SSN-785, honors Senator John W. Warner for a lifetime of service to the Commonwealth of Virginia and to the United States of America as a trusted leader, statesman and public servant. He wore the uniform of American nation as both a Marine and sailor and served as the 61st Secretary of the Navy, 1972-1974. Chief of Naval Operations Admiral Jonathan Greenert delivered the ceremony’s principal address. Jeanne Warner, wife of Senator Warner, is serving as the ship’s sponsor. In a time-honored Navy tradition, she gave the order to «man our ship and bring her to life»! «The commissioning of USS John Warner marks the beginning of what is expected to be 33 years of distinguished service for this great submarine – a fitting tribute to a man who served his nation for so long as a sailor, a Marine, a United States Senator and, as one of my most esteemed predecessors as Secretary of the Navy», said the Honorable Ray Mabus, Secretary of the U.S. Navy. «This ceremony is not only a celebration of a man who dedicated so much of his life to his country and to the Department of the Navy, but also a reminder of the partnership our Navy shares with the shipbuilding industry in Senator Warner’s home state of Virginia and the continued success of the Virginia-class attack submarine program». 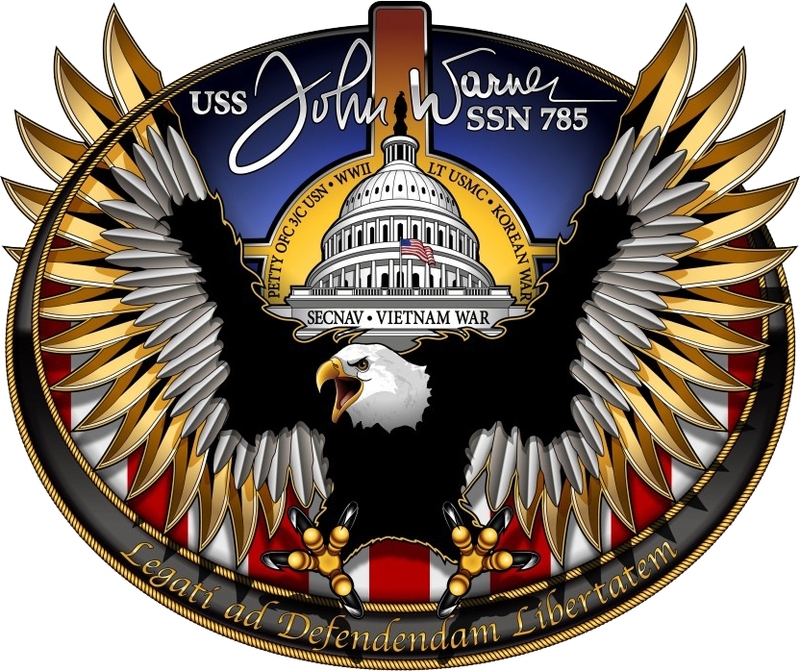 USS John Warner (SSN-785) is the 12th Virginia-class fast attack submarine. While other Virginia-class submarines have been named after U.S. states, SSN-785 holds the distinction of being the first to be named after a person. This next-generation attack submarine provides the U.S. Navy with the capabilities required to maintain the nation’s undersea supremacy well into the 21st century. It will have improved stealth, sophisticated surveillance capabilities and special warfare enhancements that will enable them to meet the Navy’s multi-mission requirements. USS John Warner (SSN-785) has the capability to attack targets ashore with highly accurate Tomahawk cruise missiles and conduct covert long-term surveillance of land areas, littoral waters or other sea-based forces. Other missions include anti-submarine and anti-ship warfare; mine delivery and minefield mapping. It is also designed for Special Forces delivery and support, a subject senator John Warner worked on throughout his career in the U.S. Senate. Virginia-class submarines are built with a reactor plant that will not require refueling during the planned life of the ship – reducing lifecycle costs while increasing underway time. 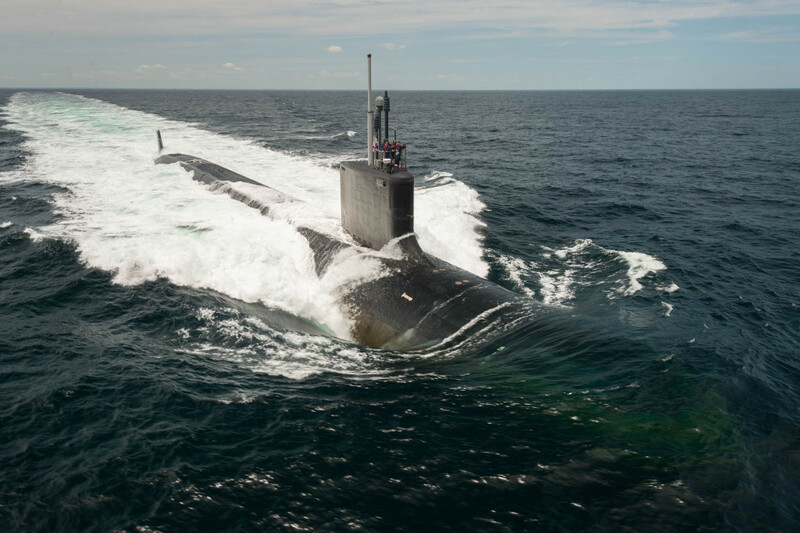 Huntington Ingalls Industries (HII) announced on May 26 that the newest Virginia-class submarine, USS John Warner (SSN-785), successfully completed its initial sea trials on Saturday. Sea trials are aggressive operational tests that demonstrate the submarine’s capabilities at sea. John Warner, the first Virginia-class submarine to be named for a person, is being built as part of a teaming arrangement between HII’s Newport News Shipbuilding division and General Dynamics Electric Boat. «Alpha sea trials represent the first underway test of the quality of the craftsmanship that went into the construction of this great vessel and the skill of the crew that operates her», said Jim Hughes, Newport News’ vice president of submarines and fleet support. «Both the ship and the crew performed incredibly well, resulting in extremely successful trials that enable the ship to advance directly into its next set of tests. The USS John Warner is now well on its way to being another successful and early Virginia-class delivery». All systems, components and compartments were tested during the trials. The new submarine submerged for the first time and operated at high speeds on the surface and underwater. 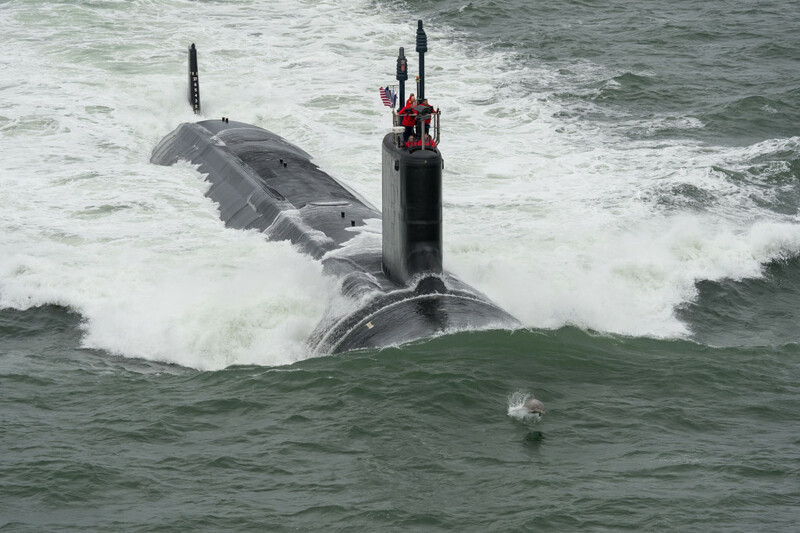 USS John Warner (SSN-785) will undergo several more rounds of sea trials before delivery to the U.S. Navy by Newport News. «The sea trials were a huge success», said Commander Dan Caldwell, the submarine’s prospective commanding officer. «The ship is in great material condition, and I could not be more proud of the way the crew performed. They have worked tirelessly for the last two years preparing to take this ship to sea, and it showed during sea trials. We look forward to completing the ship’s delivery and joining the operational fleet». Construction of John Warner began in 2010. The boat is 99 percent complete and on schedule to deliver next month – more than three months ahead of its contracted delivery date.